BLACKSBURG, Va., June 5, 2008 – Virginia Tech Department of Theatre Arts presents Mountains are a Feeling , a family-friendly show directed by Department of Theatre Arts faculty Michael Anthony Williams. June 28 at 2 p.m. at the Lyric Theatre. Mountains are a Feeling is a family-oriented play written by Kathryn Shultz Miller and adapted by Michael Anthony Williams and is a series of Appalachian folktales backed with an original score by local composers and musicians Ryan and Paul Little. The play takes the audience on a quaint trip to the mountains of Appalachia where the folks are generous with their stories and invite viewers of all ages to take part in this patchwork sampler of tall tales and proud culture. The title of the play is derived from a poem written by English Romantic poet Lord Byron, where he writes, “to me high mountains are a feeling. Are not the mountains, waves and skies a part of me, of my soul, as I of them?" Paul Little lives in Christiansburg, Va., where he retired from the Montgomery County Public Schools in January 2007 and now teaches guitar at Mainstream Music in Blacksburg. Paul’s son, Ryan also lives in Christiansburg. 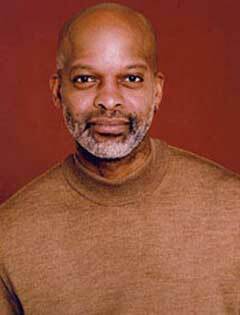 Michael Anthony Williams attended Beloit College from 1978 to 1982, with majors in theater and sociology. Professional associations include The Screen Actors Guild, the Association of Television and Radio Artists, the Actors Equity Association, and the American Screenwriter's Association. Williams is a former member of the Second City Theater Company and has been nominated multiple times for the Joseph Jefferson award (Chicago) and the Helen Hayes award (Washington D.C.). See a list of his regional theatre credits. A gift of art, music, and theatre to the community, the 17th Annual Summer Arts Festival is a joint presentation by the Virginia Tech School of the Arts and the Town of Blacksburg. For more information on this and other events happening this summer, visit the Summer Arts Festival 2008 website or call Jane Harrison at the Virginia Tech School of the Arts at (540) 231- 5921.